KERR-COLOMB-STREET, Elizabeth Mona. 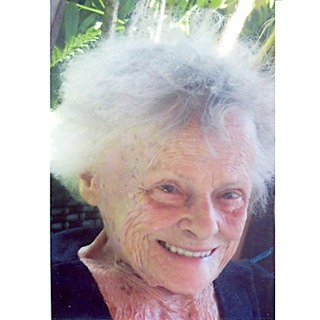 Unexpectedly at home in Lancaster, Ontario on Monday April 22, 2002 aged eighty-six years. Beloved wife of the late Gilbert Colomb. Loving mother of Chuck (Ada), Margaret (Bob McCready), Pat (Ralph Kowin), Hilda (Ray Chudy), Janet (Jack Morgan), Matthew (Debbie) andJohn (Peggy). Beloved wife of the late Fred Street and loving step-mother to Denyse, Paul, Marc and the late Roger. Dear sister to Donny (Stien), Dempsey (Muriel), John (Celia), Helen(Walter) and Norma (Bill). Predeceased by one sister Eileen (late Les) and by two brothers Stuart (Fran) and Kenny. Survived by numerous grandchildren and great-grandchildren. Friends may visit at Munro & Morris Funeral Home, 46 Oak Street, Lancaster (347-3629) on Tuesday April 30 from 2 to 4 and 7 to 9 p.m. The Funeral Mass will be held in St. Mary's Roman Catholic Church, Williamstown on Wednesday May 1, 2002 at 11 a.m. In lieu of flowers, donations in her memory may be made to the Canadian Cancer Society. Mom, you have touched us all and live in our hearts, God Bless. At the Glengarry Memorial Hospital, Alexandria, Ontario on Monday, July 2, 2001. Violet Edna Rose Kelly of Alexandria, formerly of Montreal. Dear sisterof Frances Kelly of Cornwall (formerly of Montreal), Edwardine McDonald (Late Donald) of London and Maureen Nuberg (Peter) of Port Perry. Also survived by many nieces and nephews. Predeceased by her sister, Mary Catherine and by her two brothers, John and Howard Kelly. Daughter of the late Angus Francis Kelly and the late Rosemary Mahon. Relatives and friends may call at Munro & Morris Funeral Home, 114 Main Street South, Alexandria, Ontario (613-525-2772) from 7 p.m. on Thursday, July 5. Mass of Christian Burial will be held in St. Finnan's Cathedral, Alexandria on Saturday, July 7, 2001 at 1 p.m. Interment to follow in the St. Finnan's Parish Cemetery. The family will be in attendance on Thursday from 7 to 9 p.m., on Friday from 2 to 4 p.m. and 7 to 9 p.m.and on Saturday from 11 a.m. to 12:30 p.m.
Maurice. At the Glengarry Memorial Hospital, Alexandria on Friday, January 12, 2001. Maurice Kealty of Alexandria in his seventy-eighth year. Beloved husband of fifty-five years to Jean Roherty. Dear father of Michael (Brenda) of Atlanta, Georgia, Tim (Judy) of North Vancouver, B.C., Ann of Mississauga, Kevin (Debbie) of Ottawa, Patrick of Verdun, and Sean of Oakville. Predeceased by one son Brian (his wife Donna of Mississauga). Will be sadly missed by his grandchildren, Andrew, D'Arcy, Natalie, Jason, Samantha, Allison, Meredith, Amanda and Colin. Dear brother of Eileen Currie of Peterborough and Joan Marie Furlotte (Kim) of New Brunswick. Predeceased by two brothers Ty and Joe and by one sister, Juanita. Relatives and friends may call at Munro & Morris Funeral Home, 114 Main Street South, Alexandria, Ontario from 7 p.m. on Sunday, January 14, 2001. Mass of Christian Burial will be held in St. Finnan's Cathedral, Alexandria on Tuesday, January 16, 2001 at 11 a.m. Interment St. Finnan's Parish Cemetery. If so desired, memorial donations may be made to the Canadian Cancer Society. The family will be in attendance on Sunday from 7 to 9 p.m. and on Monday from 2 to 4 and 7 to 9 p.m.
Douglas R. At the Cornwall General Hospital on Thursday, December 30, 1999. Age sixty-eight years. Douglas R. Kennedy of Lancaster, Ontario. Beloved husband of Doreen Loiseau. Dear father of Jocelyn of Lachine, Quebec, Pat of Dartmouth, Nova Scotia, Eric of Montreal, Quebec, Michael of Ottawa, Ontario, Cynthia of LaSalle, Quebec and Douglas R. Kennedy Junior also of LaSalle, Quebec. Survived by fifteen grandchildren and one great-grandson. Also survived by one brother Ross of Thunder Bay and his aunt Loretta Alexander of Ottawa. Son of the late Percy M. Kennedy and the late Ethel L. Myers. To honor the previous expressed wishes of the deceased, there will be no visitation. Memorial donations to the Children's Hospital of Eastern Ontario, 401 Smyth Road, Ottawa, Ontario K1H 8L1 would be appreciated. Terrence Robert Mr. Terry Kennedy (Longtime Bell Employee) at his residence on Monday, August 21, 2000 at the age of 63 years. Beloved father of Jane Fay (Mrs. James Blanchfield) of Embrun and Lynn Dorothy (Mrs. Claude Desjardins) of Cornwall. Cherished grandfather of Michel Gilles Kennedy Desjardins. Dear brother of Leonard (Rae) of Arnprior and Aquin (Mrs. Jim Illingworth) of Almonte. Lovingly remembered by his mother-in-law Willow Julian of Almonte. Predeceased by his dear wife Margaret Jean in 1995. His parents Michael Timothy Kennedy and Margaret Melissa Legris; and brothers Leo and Benjamin. Visitation Wednesday, August 23, 2000 from 2:00 p.m. FUNERAL SERVICE WILL BE HELD IN THE CHAPEL OF THE WILSON FUNERAL HOME ON THURSDAY, AUGUST 24, 2000 AT 10:00 A.M. Reverend Michael Hermann of Knox-St. Pauls United Church to Officiate. Interment to follow in Old Kirk Cemetery, Almonte, Ontario. Visitation Wednesday from 2-4 and 7-9 p.m. and Thursday from 9:00 a.m. until the time of the service. If so desired, contributions to the Ontario Red Cross Society-Transportation in Terry's memory would be appreciated by the family. Arrangements under the care and direction of the Wilson Funeral Home, 822 Pitt Street, Cornwall, 1-613-938-3888.